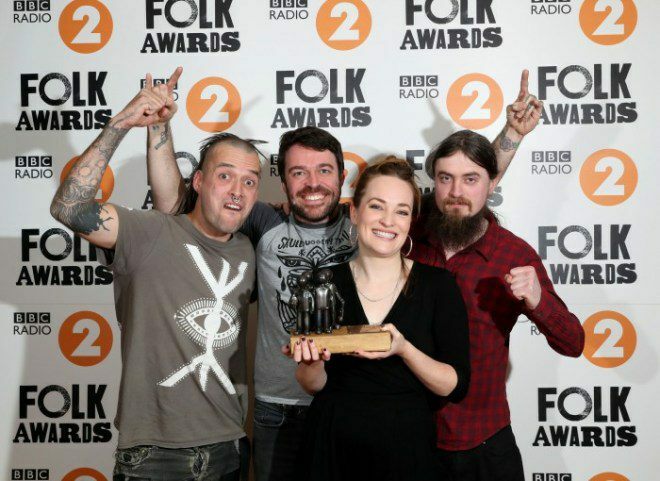 Lankum perform at the BBC Radio 2 Folk Awards 2018 in the Belfast Waterfront Hall where they picked up two gongs for “Best Group” & “Best Tune”. Hup the Dubs! Huge Congrats from Tom & The Cobblestone, it’s great to see all the hard graft being rewarded by such a renowned institution as the B.B.C and of course the people in the U.K who Voted. Lankum’s album ‘Between the Earth & Sky‘ was released on the prestigious Rough Trade Records to critical acclaim in 2017.